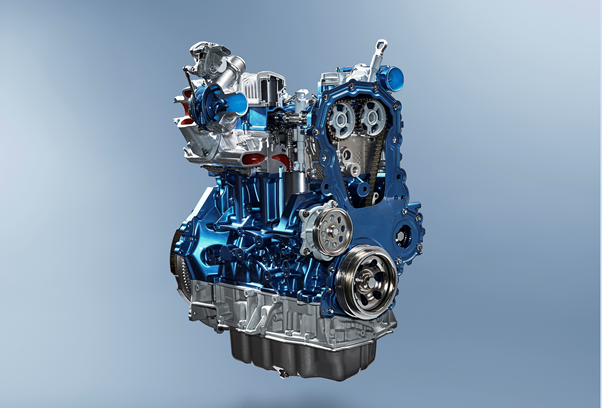 Ford’s new Panther two-litre EcoBlue advanced diesel engine – which made its debut at the commercial vehicle show in Birmingham – is the first diesel commercial vehicle to be driven by belt-in-oil technology. The engine will be used in Ford’s Transit and Transit custom vans and marks an important milestone for NGF Europe with the new commercial vehicle diesel engines replacing chain driven drives. Furthermore EcoBlue diesel engines are set to power the company’s future passenger cars and commercial vehicles with power outputs ranging from 100 PS to 240 PS. The belt – manufactured by Dayco – utilises NGF Europe high tensile strength, reactive impregnation glass cord with an advanced coating system. These cords are revolutionising the way automotive engineers design vehicles and the EcoBlue engine is the latest to benefit from advanced cord developed by NGF Europe. The engine uses belt in oil technology for both the camshaft and oil pump drive belts, lifting fuel efficiency by 13% and reducing CO2 emissions by 10%. The engine is also four decibels quieter than its predecessor when idling.